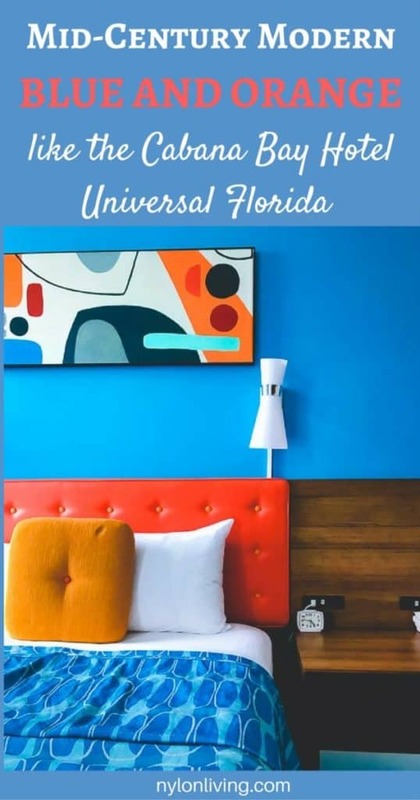 Universal Orlando’s Cabana Bay Beach Resort is mid-century modern glamor slightly tweaked for contemporary sensibilities. 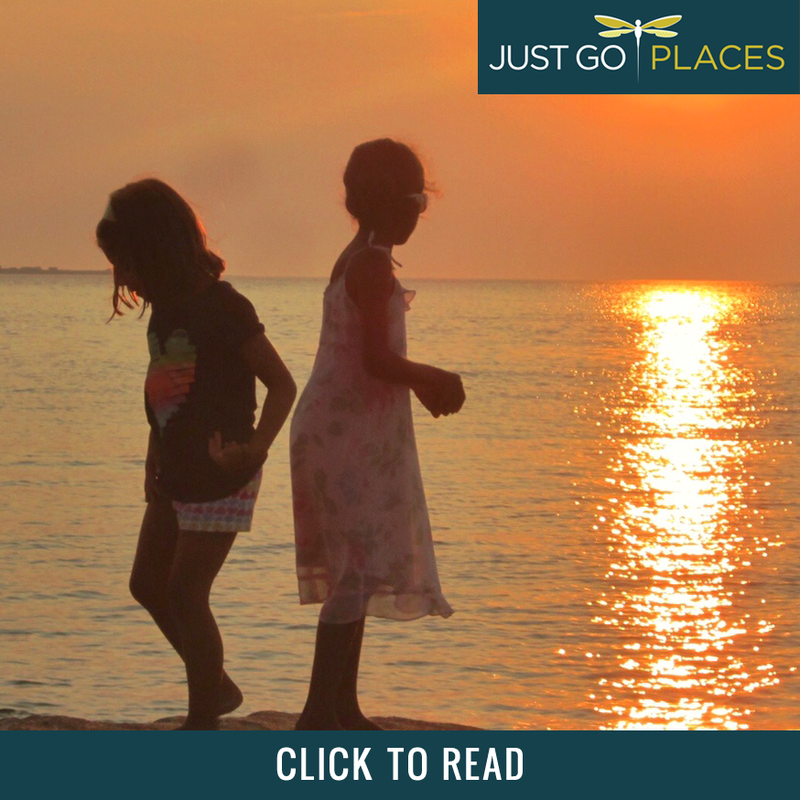 The colours are bright – think shades of teal and orange decor. 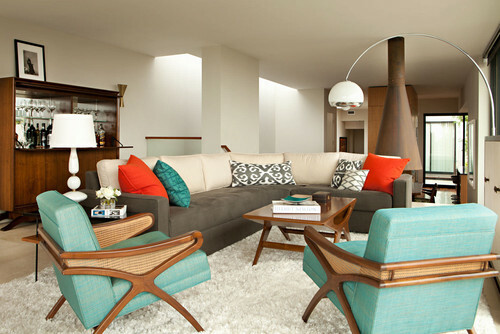 The lines geometric, the furniture swoon worthy and a mosaic that reminds me of the Jetsons and the Flintstones. Walnut and teak wood ground the hotel’s decor amidst all these sunny colours. The decor at the Cabana Bay Beach Resort is supposed to represent the 1950’s idea of vacation – you piled your stuff into a station wagon and took road trips in the USA to motels where everyone was white, middle-class and prosperous. The hotel is massive with 1800 rooms set out in winged units from a central common area. There are two different pools on each side of the common area. Each of the wings has a nostalgic name such as The Americana or The Continental. The restaurant is set up in a diner style and my kids adored the bowling alley. We weren’t the only ones who really enjoyed staying at the Cabana Bay Beach Resort. Check out the excellent 4.5 rating given to the Cabana Bay from TripAdvisor reviewers. 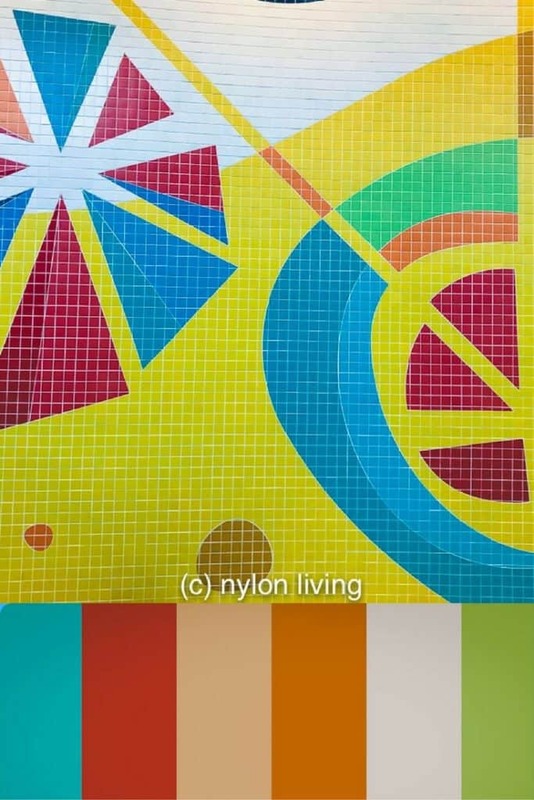 The colours of the giant wall mosaic are shades of blue and orange. The colours are vibrant oranges, yellows and blues that evoke a sunny time period of prosperity in American history. The future looked so bright you had to wear shades, at least for the Don Drapers of that world. Tip: With all these colours in play, keep the walls white. It will make the look crisp and fresh instead of the inside of a nursery school. Maybe the 1950’s were so sunny, they are actually looked at with rose-colored glasses. It was a good time to be male, white and privileged. That nostalgia plays well not only in hotel decor but also in home decor. 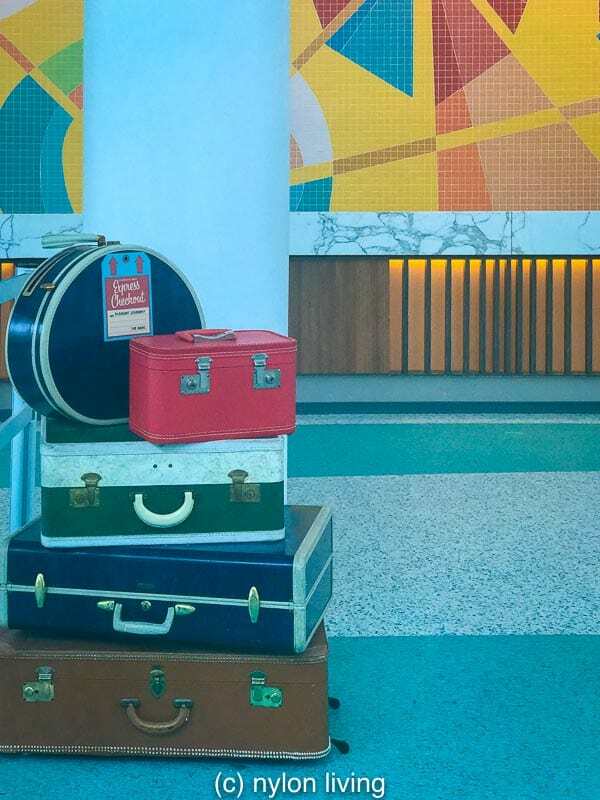 Vintage suitcases piled up artfully by the check-in desk. Aqua/Tangerine, Teal/Burnt Orange, Potato/Potahto. It’s all Blue/Orange to Me. 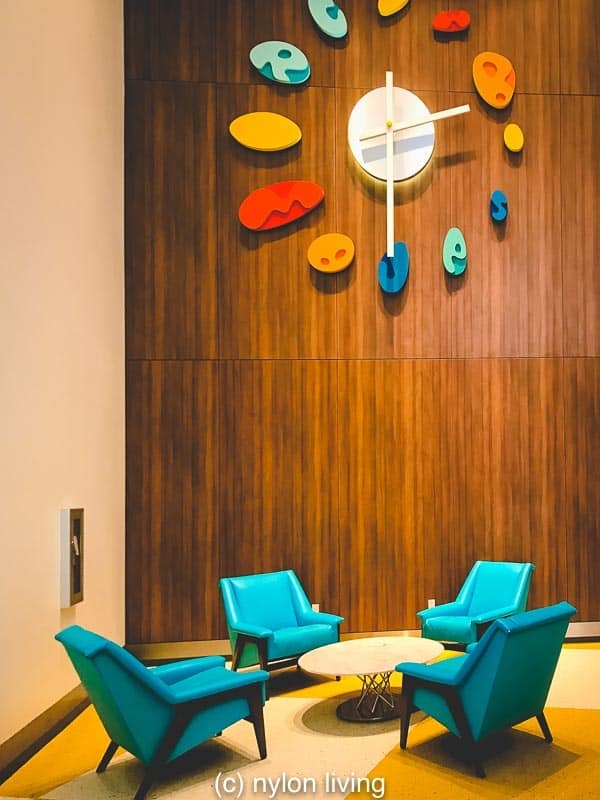 One of the most contemporary of the mid-century bright color combination is Aqua and Tangerine, or teal and burnt orange. Basically it’s that old favourite color combination of blue and orange but jazzed up and brightened. At our last house my son had a room that was blue and orange (Farrow & Ball’s Lulworth Blue and Charlotte’s Locks). He is still in love with this color combination so I am thinking of variations of teal and orange for his new room. 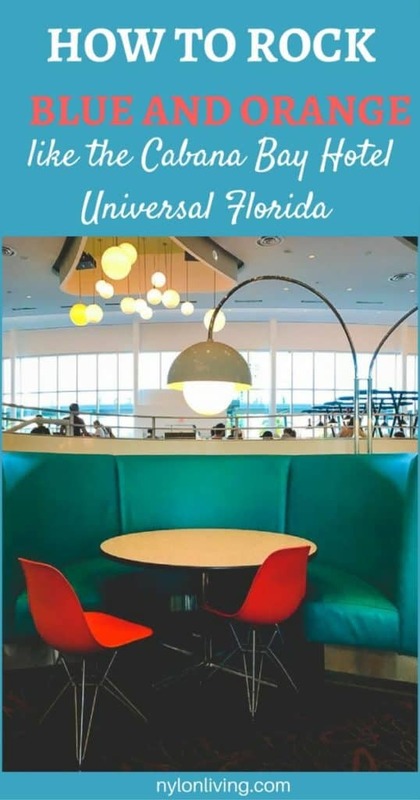 I absolutely adored this sitting area at the Cabana Bay Beach Resort. The colours really pop on the chairs and the clock is very striking. 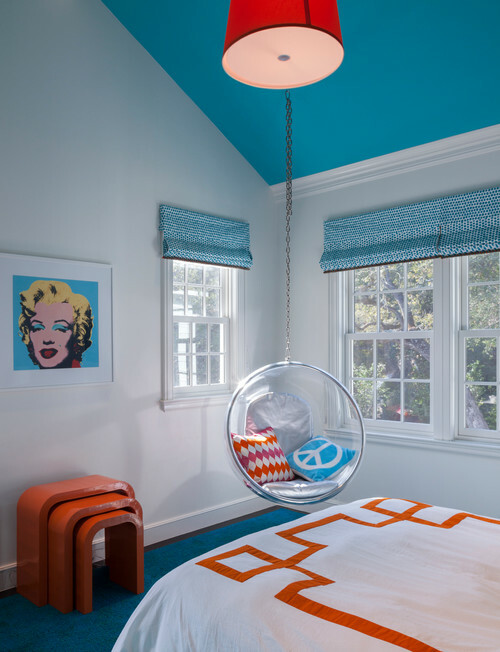 This room the gamut of blues with pops of orange. 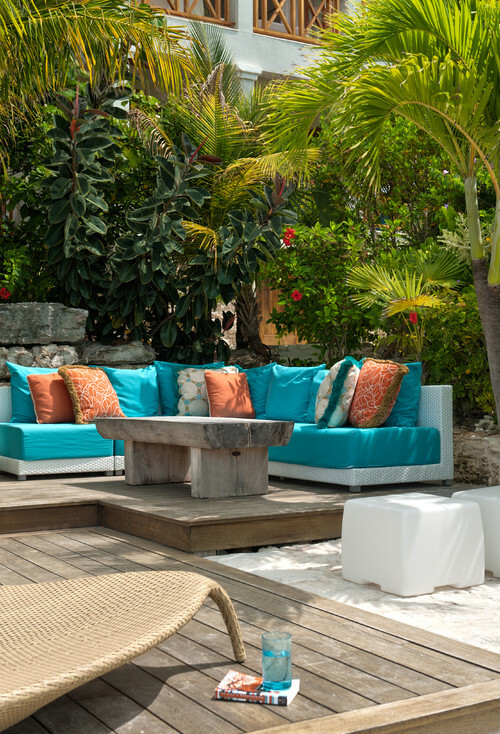 Outdoor living never looked so good! This is a charming older kids’ hangout/study room. The bright colours make the whole space less depressing when you are doing something like schoolwork. The room’s position at the top of the house means that there’s lots of light flooding into the room as well. 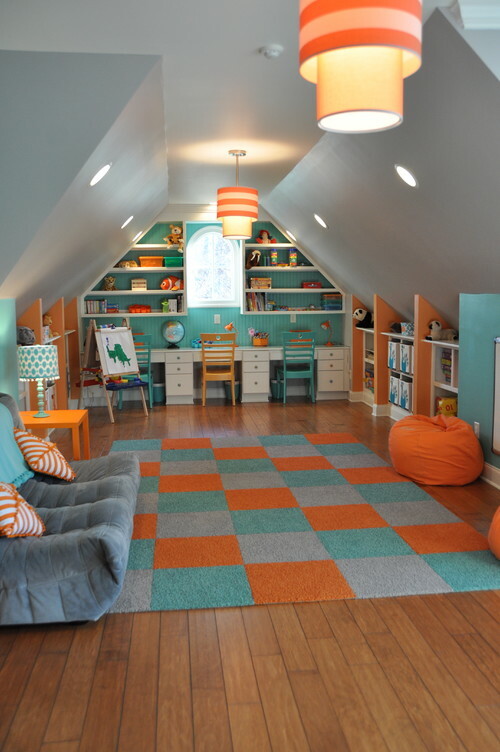 What a great teenager’s teal and orange bedroom! Here we have teal and orange in adult bedroom which makes it look easy, breezy and summery. 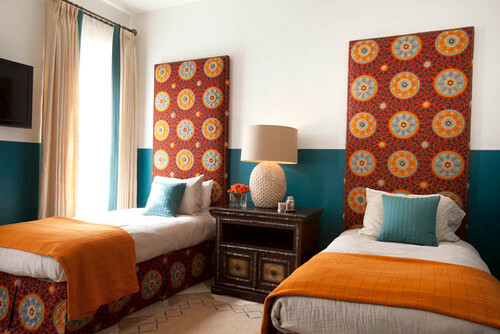 This teal and orange color scheme also works really well with a bit of ethnic flair. Mid-century modern may have been all a celebration of the European culture but that style doesn’t have a monopoly on this color combination. Like the look of teal and orange? Spread the Word! Pin this to your Pinterest Boards for future reference! A colorful bedroom that will fill you with the joys of life.